From little ones to the elderly, Dr.Davey, along with his caring and capable staff, look forward to offering you and your family efficient and comprehensive dental care! 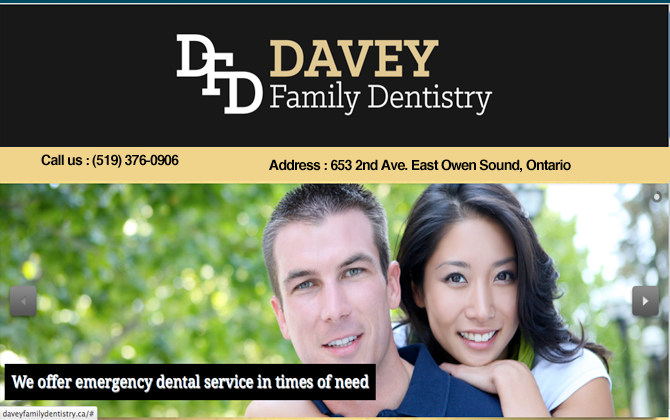 With many years of experience, Dr.Davey is pleased to offer services in general and cosmetic dentistry, oral surgery, endodontics as well as prevention and cleanings. With particular success and expertise in treating children and nervous or apprehensive clientèle, patients from all walks and circumstances of life are welcomed into care including the handicapped, and area visitors. We will endeavour to make this important aspect of your health care both a pleasant and positive experience in a relaxed, yet professional manner!